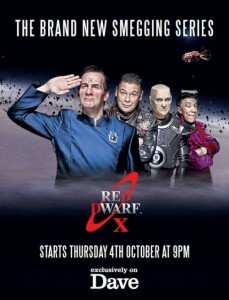 In case you have missed it (ie living in a cave) Red Dwarf X Starts soon. Please find details, including episode titles and broadcast dates below. The boys from the Dwarf as they return in a brand new series – launching exclusively on Dave on Thursday 4th October at 9pm. Red Dwarf X, the 10th series of the legendary sci-fi sitcom, reunites the much-loved original cast of Chris Barrie (Rimmer), Craig Charles (Lister), Danny John-Jules (Cat) and Robert Llewellyn (Kryten) with six episodes recorded in front of a live studio audience. The brand new series, written and directed by Doug Naylor, begins with the Dwarfers’ mining ship still creaking though the wastelands of unchartered deep space, but the posse soon stumble upon the mysteriously abandoned SS Trojan. As they inspect the ship, Rimmer receives an SOS distress call from an old foe and is suddenly faced with the dilemma of his life. Dave is available on Sky channel 111, Virgin Media channel 128, and Freeview channel 12 in the UK. Red Dwarf X will also be shown on Dave HD (Sky and Virgin subscribers only). As part of a brand new service, each episode will also be available to view online at joindave.co.uk for seven days following broadcast. 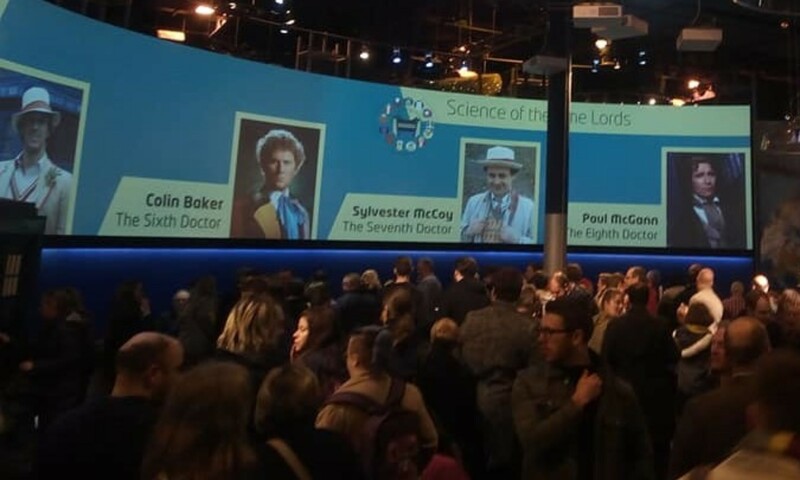 The series will be released on DVD and Blu-ray on 19th November, and episodes will be available for download on iTunes 24 hours after broadcast. You can also pre-order the boxset now at Play.com (DVD/Blu-ray). For more Red Dwarf X news, and exclusive weekly video clips and updates, see Dave’s Red Dwarf X site and The Official Red Dwarf Website.